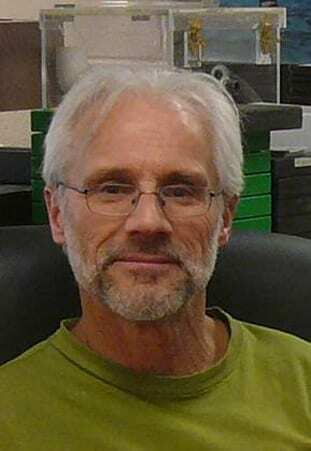 Pierre-Yves Daoust is Professor Emeritus of Anatomic Pathology and Wildlife Pathology at the Atlantic Veterinary College (AVC), University of Prince Edward Island, and former coordinator of the Atlantic regional node of the Canadian Wildlife Health Cooperative (CWHC; www.cwhc-rcsf.ca). It was his interest for wildlife and the environment that led him to choose veterinary science as a career. His professional activities have centered around diagnostic work as a tool to investigate causes of natural and human-related mortality in free-living wildlife. In this context, Pierre-Yves has dealt with a very wide variety of animal species, mainly, but not exclusively, birds and mammals. Through the many years that he has spent at the AVC, he has developed a particular interest in marine mammals and birds and in the marine ecosystem in general. As a pathologist, he has also been extensively involved in assessing hunting methods for seals and other mammals from an animal welfare perspective. Thanks to a good working relationship with colleagues at Fisheries and Oceans Canada and, especially, with his friend and colleague, Zoe Lucas, Pierre-Yves has had a few occasions to work on Sable Island. These few occasions have been more than enough to convince him of the remarkable uniqueness of that Island with respect to its beauty, its tremendously dynamic geography, and its rich biodiversity. He has since continued his collaboration with Zoe through a project on plastic ingestion and causes of mortality in pelagic birds, primarily those of the family Procellariidae. Brenna is interested in the use of genetic analyses to better understand species history, evolution, diversity, and status of a variety of marine mammals. Primarily, though not exclusively, her research involves the assessment of genetic diversity within historic (using ancient DNA) and contemporary marine mammal populations that have been reduced by hunting/whaling activities. In addition, her interests lie in the use of ancient DNA analysis to explore and elucidate species demographic history as it relates to historical climate change. Understanding of species history, current status, and recovery, is essential to optimize use of resources and strategies for conservation and management of marine mammals. Using ancient DNA analysis, Brenna led the study of the extirpated Maritimes walrus, a population that had existed on Sable Island (and around the Maritimes) until the early 1700s. She is also a co-researcher with Tim Frasier and Zoe Lucas on several genetic studies of the Sable Island horses. Brenna has a PhD. in Environment and Life Science from Trent University (Peterborough, Ontario) and a Professional Specialization Certificate in Collections Management from the University of Victoria (Victoria, BC). She is currently a part-time Saint Mary’s University(SMU) faculty member and research associate with the Frasier Lab of Molecular Biology and Evolution. With a particular interest in education and outdoors adventure outreach, she coordinates two SMU summer camps for teens (Marine Mammal and Forensic Science), hosts a year-round Outdoor Adventure group for families, and is on the Board of Directors of Roots and Boots Forest School Society. 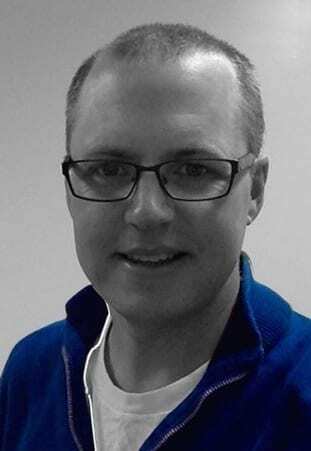 Tim is an Associate Professor at Saint Mary’s University (Halifax, Nova Scotia), in the department of Biology and the Forensic Science Program. As a biologist, he is primarily involved in using genetics to better understand the biology of populations, with an emphasis on marine mammals and conservation issues facing small and/or endangered populations. Tim is particularly interested in the ways in which genetic characteristics influence the fitness of individuals, and how these individual-based patterns scale-up to influence population-wide trends and extinction probabilities. He has been conducting genetic analyses on the North Atlantic right whale since 1999, when he began his graduate work at McMaster University (Hamilton, Ontario), a program that continues. Tim is also involved in genetic studies of several other whale species (including the St. Lawrence beluga, and eastern North Pacific gray whales). His other interests include forensic DNA typing, computer programming, and developing new statistical and analytical methods to study populations. A few years ago, Tim and Zoe Lucas began collaborating on research projects relating to Sable Island, including studies of the Sable Island horses and the extinct walruses. Recently, Tim was accepted into the Marine Mammal Subcommittee of the Committee on the Status of Endangered Wildlife in Canada (COSEWIC), a group that decides whether (and to what degree) species are endangered in Canada. Tim is particularly interested in education and public outreach, and, with Brenna McLeod/Frasier, leads Saint Mary’s Marine Mammal Summer Camp. This ten-day overnight camp offers youth ages 14 to 17 the opportunity to learn about the biology and evolution of marine mammals and to participate in the daily operations of scientific fieldwork and field-camp life. The program is a partnership of Saint Mary’s University and the Canadian Whale Institute. In August 2018, the program included an afternoon workshop at the Sable Island Institute. Susan’s practice includes painting, illustration, animation and media arts. She received her BFA from the Virginia Commonwealth University in Richmond, Virginia, with post-graduate studies in Media from the New School for Social Research in New York. Selected by the Centre for Art Tapes (Halifax) for a Media Arts Scholarship, Susan is currently working with sound, video and sensors to create a virtual environments based on endangered spaces. Focusing on environmental issues around the preservation of wilderness, Susan received the prestigious Established Artist Recognition Award in 2015 in acknowledgement of the artistic contribution she has made to the province of Nova Scotia. Susan is a four-time winner of the Lillian Shepherd Award for Excellence in Illustration for her contributions to children’s literature. Her volunteer work includes Past President of CARFAC National (Canadian Artists’ Representation/Le Front des artistes canadiens), board member of the Art Gallery of Nova Scotia, and member of the Creative Nova Scotia Leadership Council, an advisory board on arts policy to the Nova Scotia government. As a founding member of the Sable Island Institute, Susan served as Vice President until October 2018. Susan visited Sable Island in August 2009 when she and fellow artist Richard Rudnicki organized a 10-day field trip for a group of visual artists and writers.